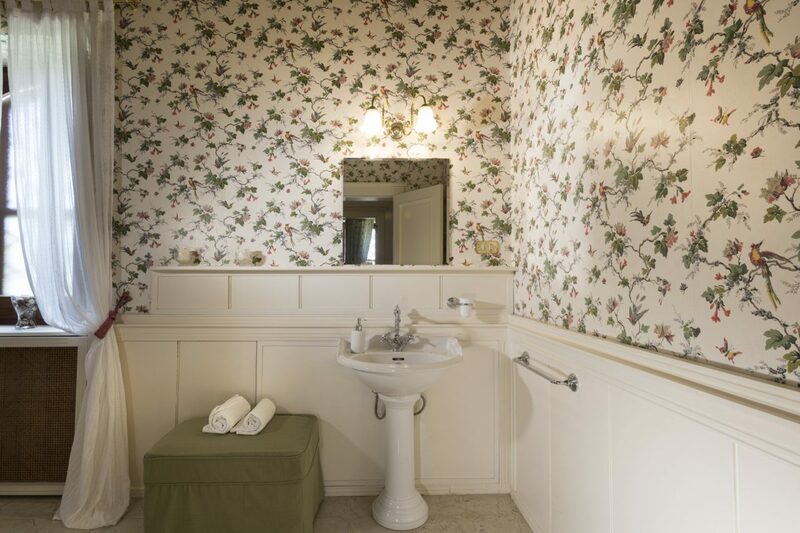 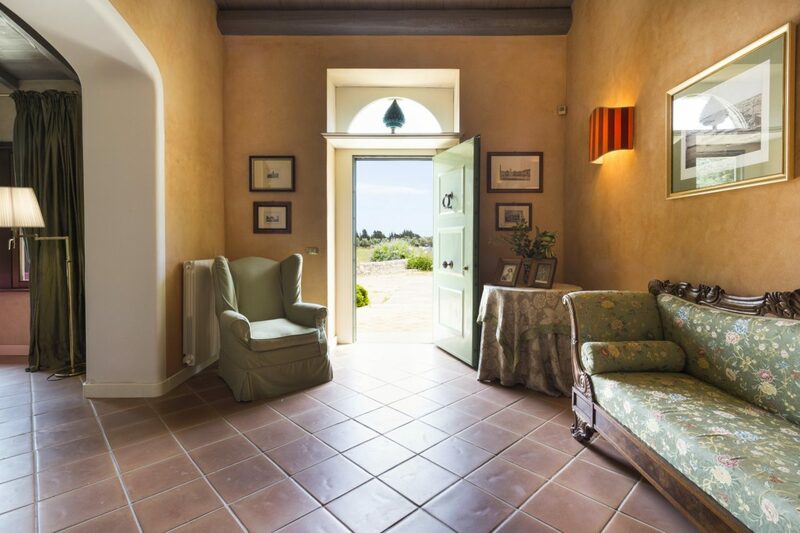 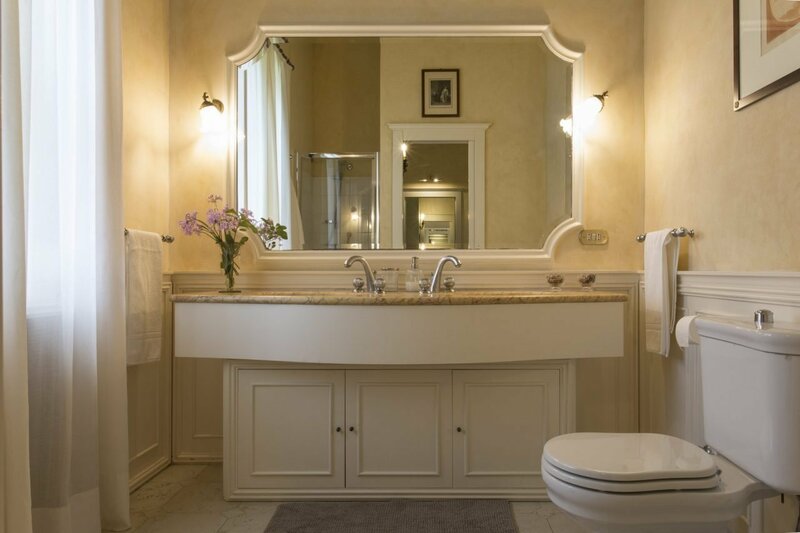 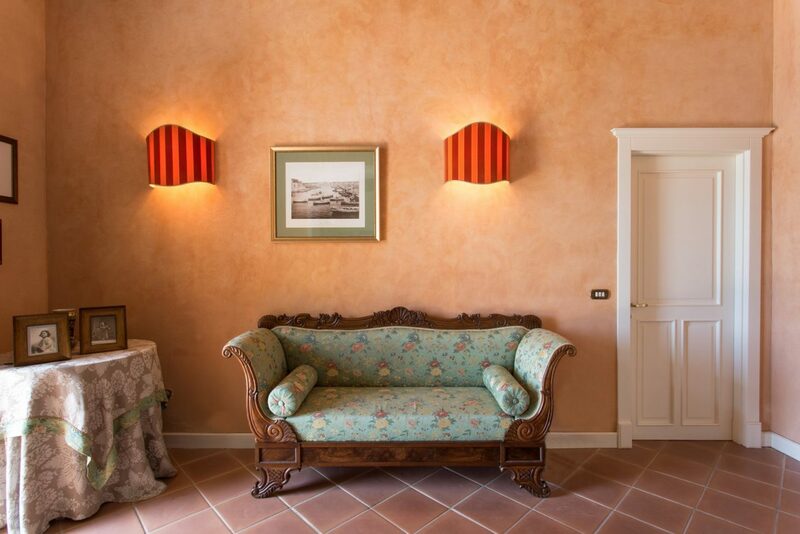 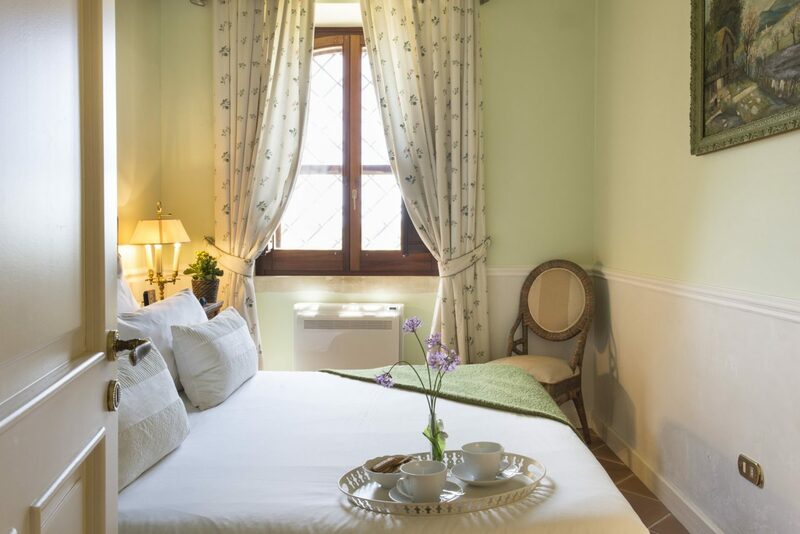 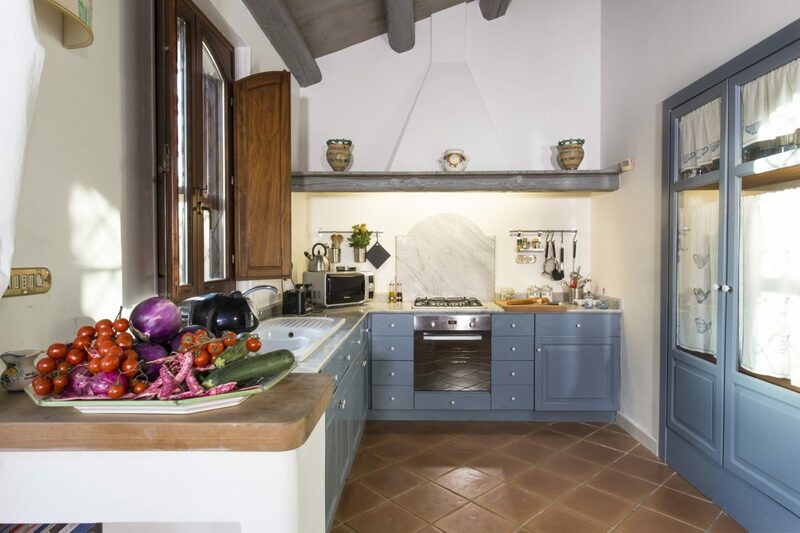 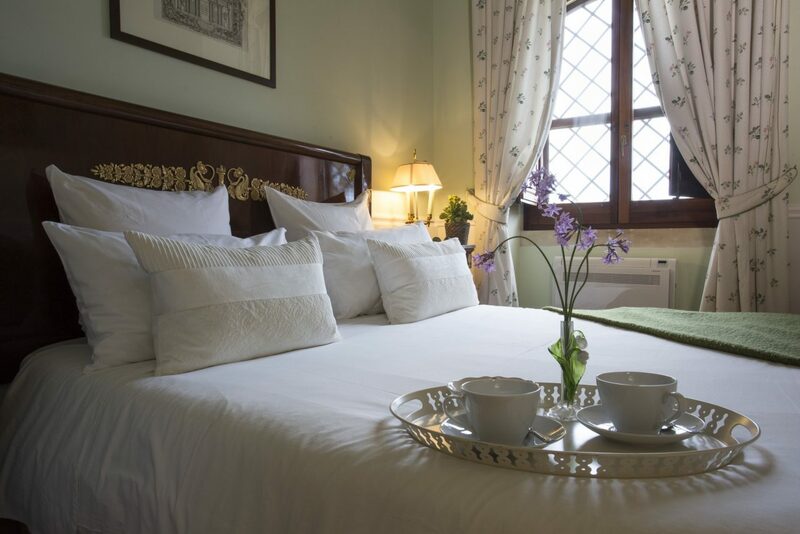 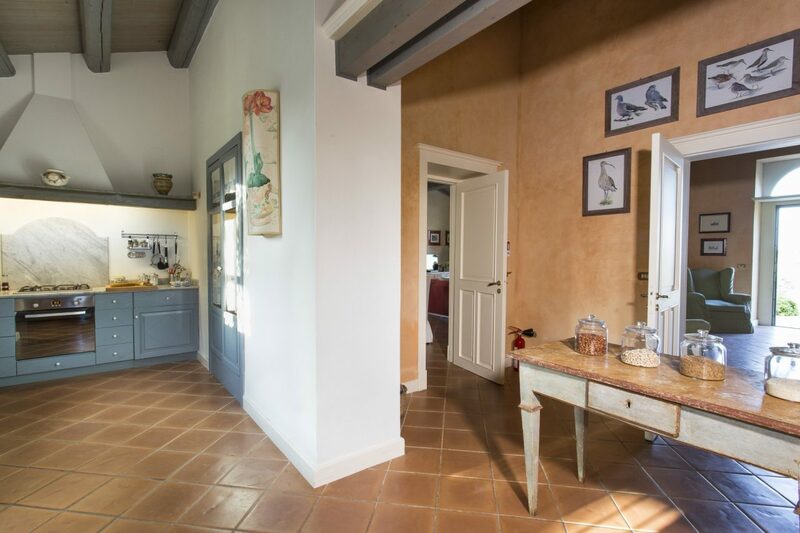 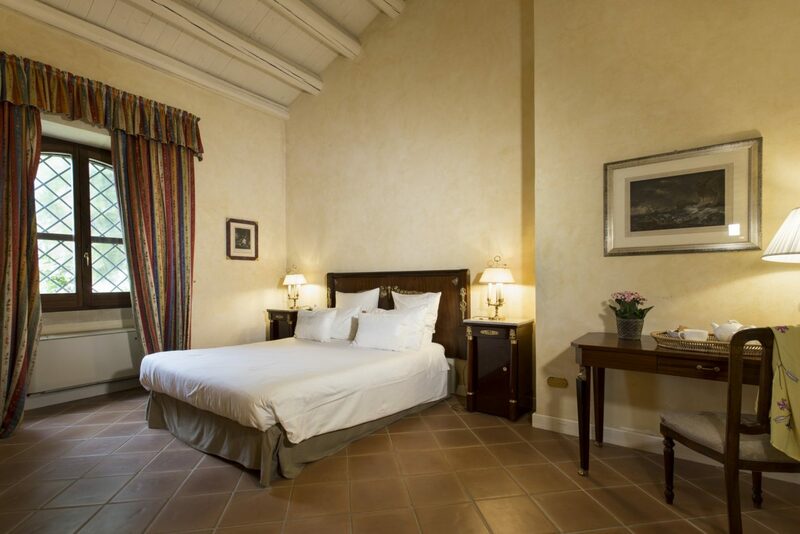 Siracusa Retreat is a recently refurbished old eighteenth-century farmhouse situated in a strategic location between the city of Siracusa and the Plemmiro marine reserve in eastern Sicily. 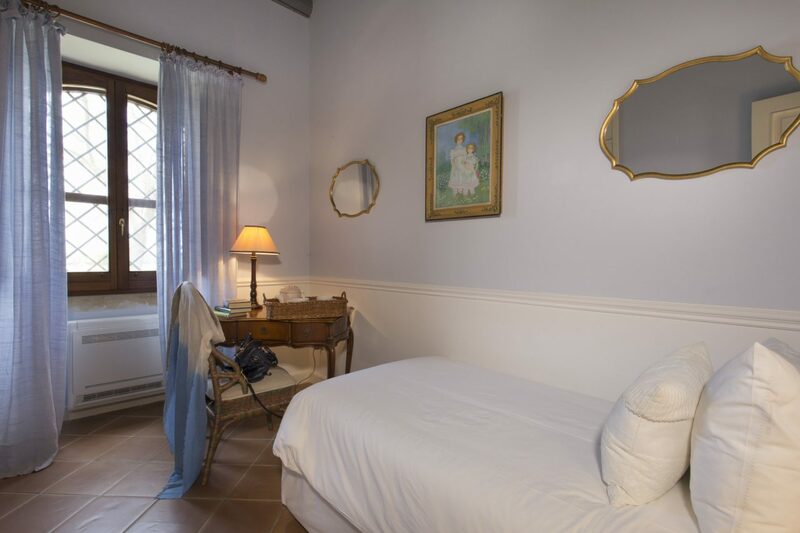 The area is well known for its sandy beaches dotted among splendid rocky inlets and for being one of the most important archaeological sites in Sicily. 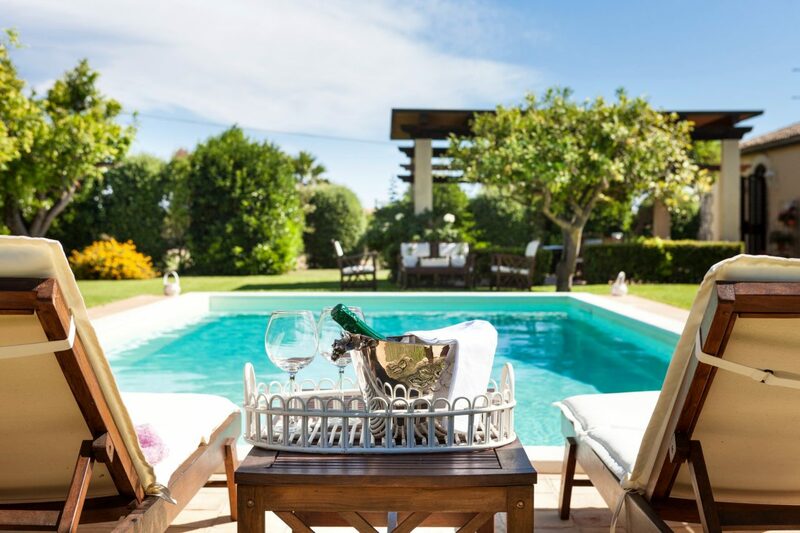 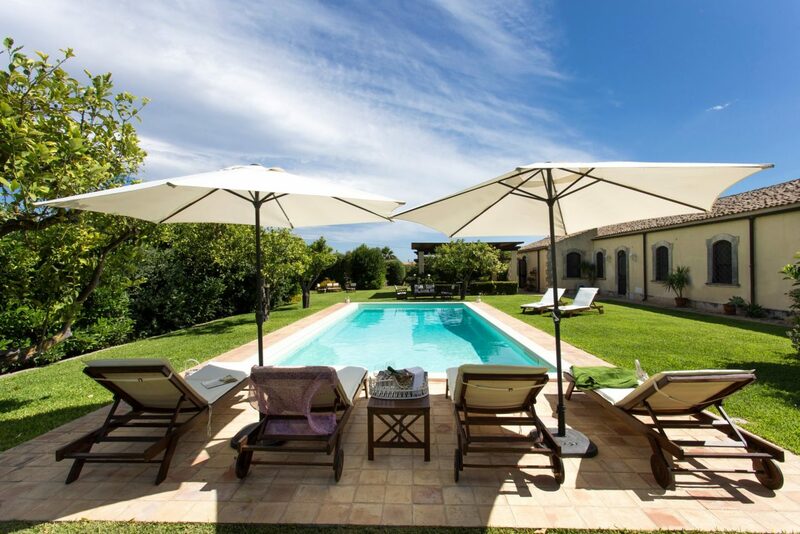 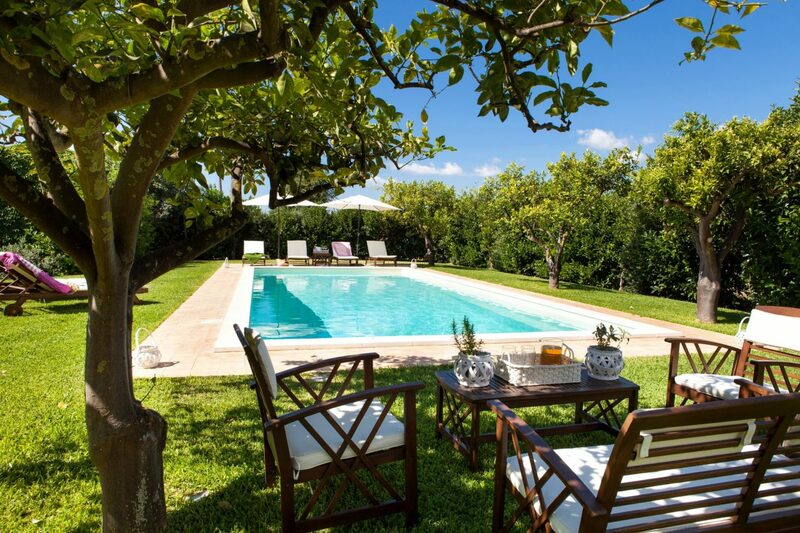 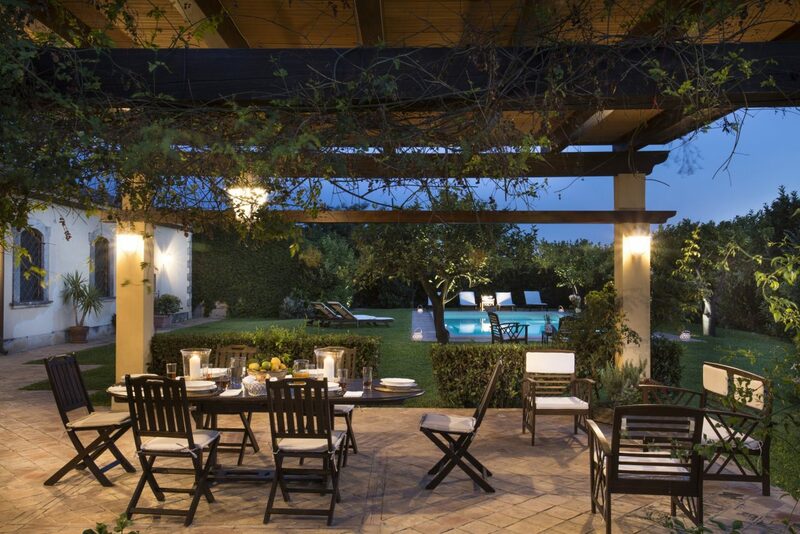 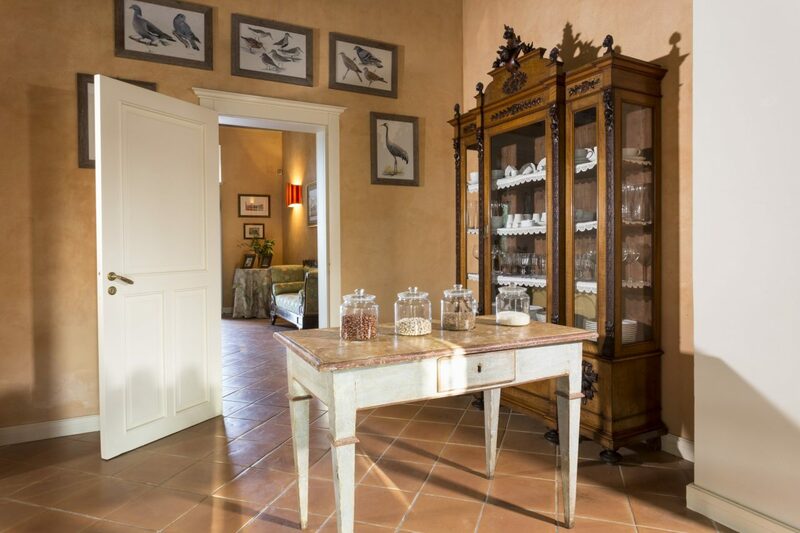 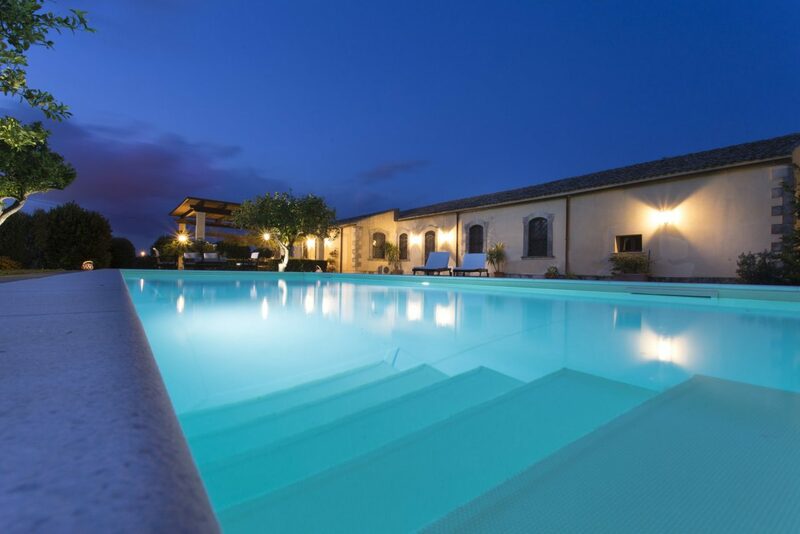 The house boasts a splendid swimming pool surrounded by a Mediterranean garden and citrus trees and it is precisely the perfume of lemon blossom or zagara, together with jasmine blossom that creates the distinctive attraction of this Sicilian abode. 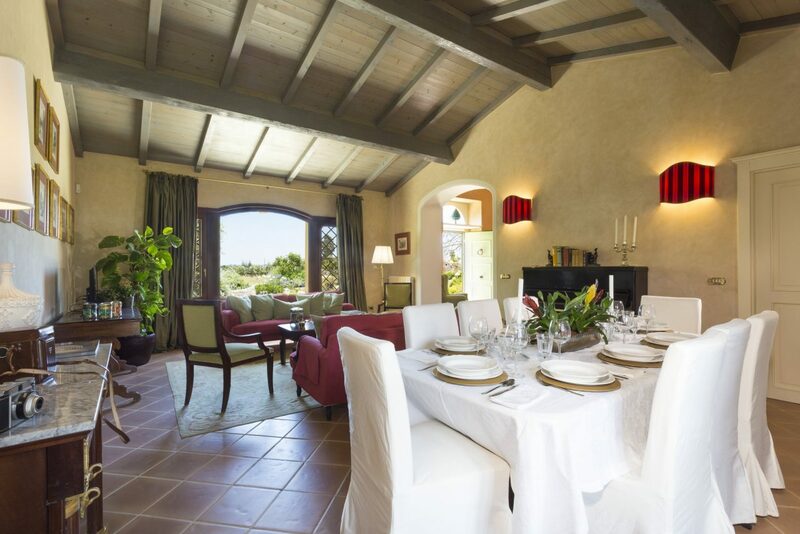 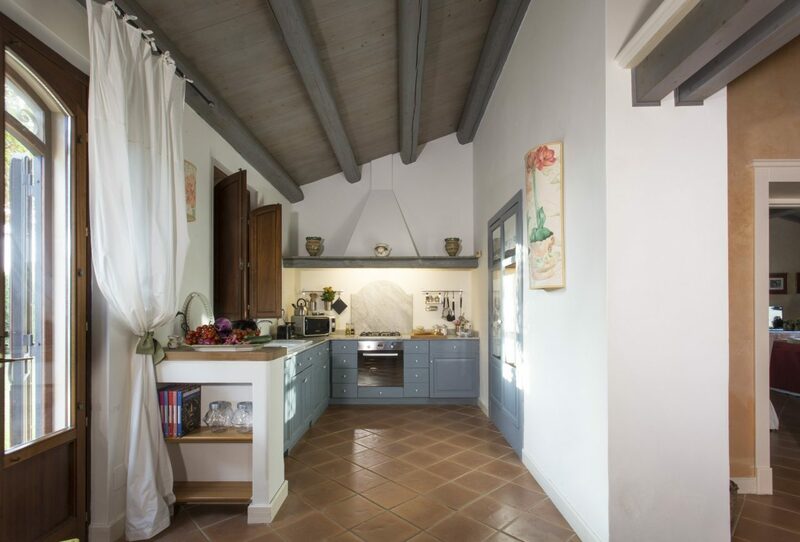 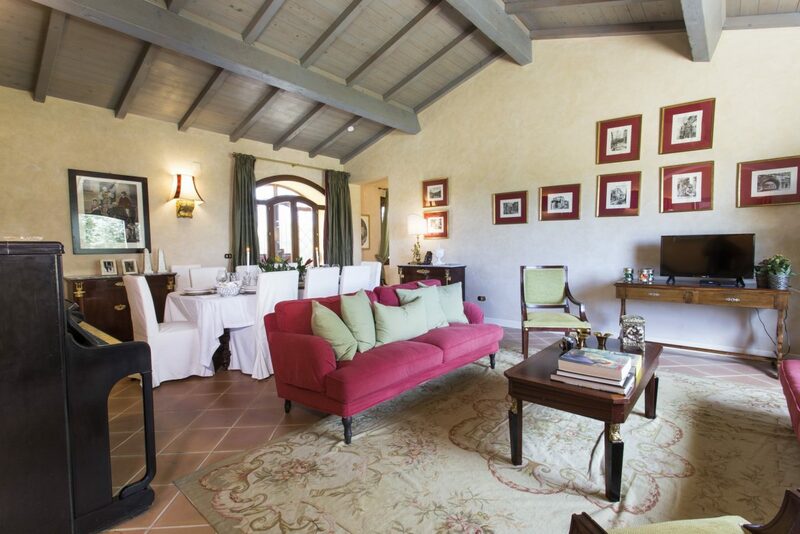 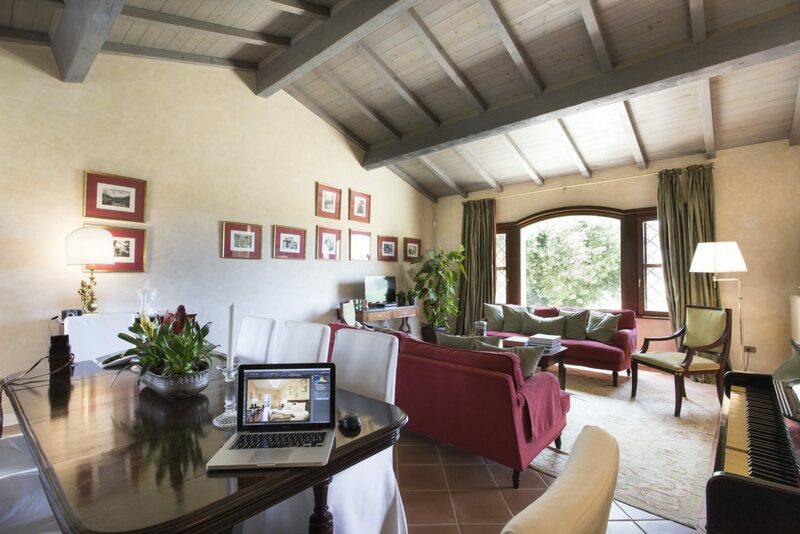 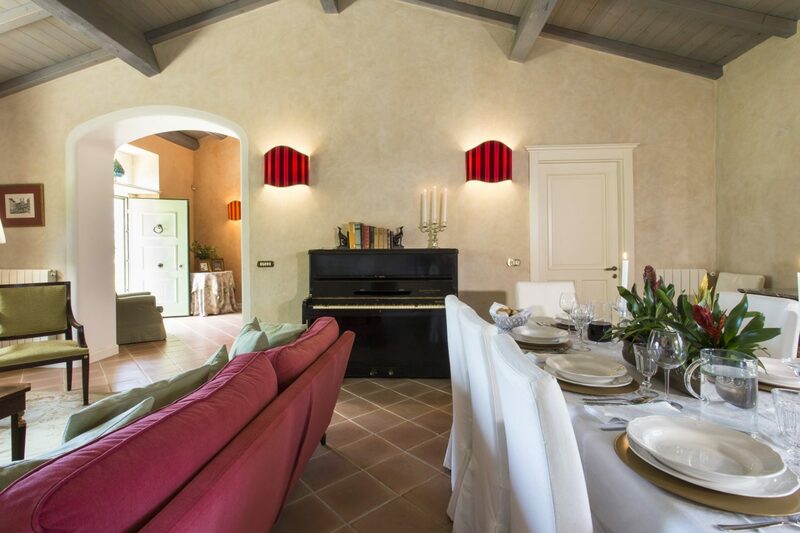 Like most old Sicilian farmhouses, it is single storey: the large arched entrance gives onto the vast living-dining area elegantly furnished in the classic style with comfortable settees and a long dining table, and two large picture windows visibly connect the interior with the surrounding countryside. 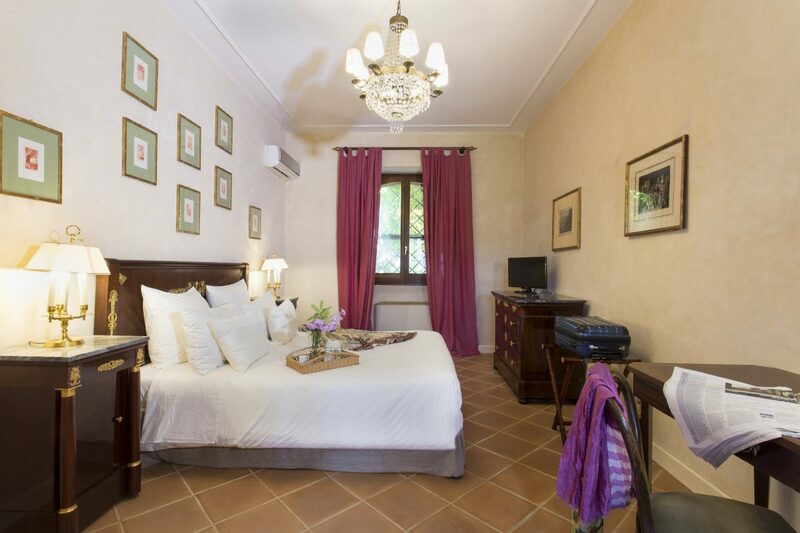 The first double bedroom adjoins this area while the warmly coloured, fully serviced built-in kitchen connects to the patio and poolside. 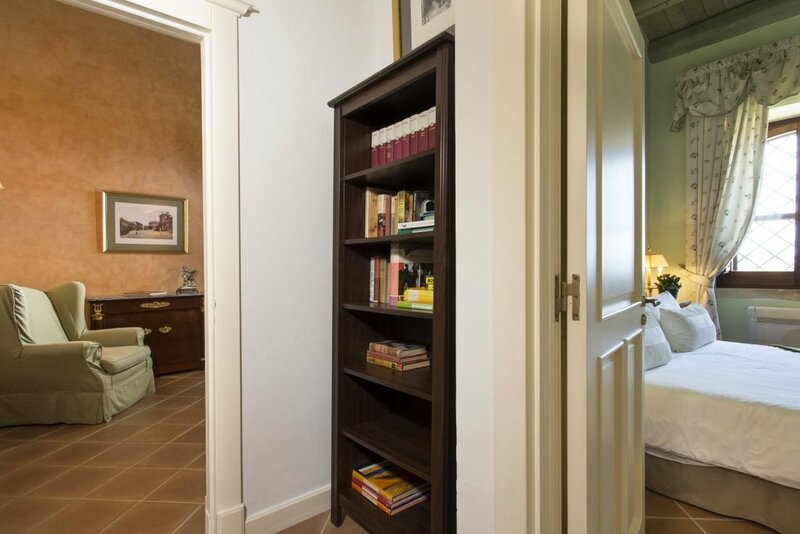 A corridor leading off the entrance affords access to two double and two single bedrooms and three bathrooms, two with shower, one with bathtub. 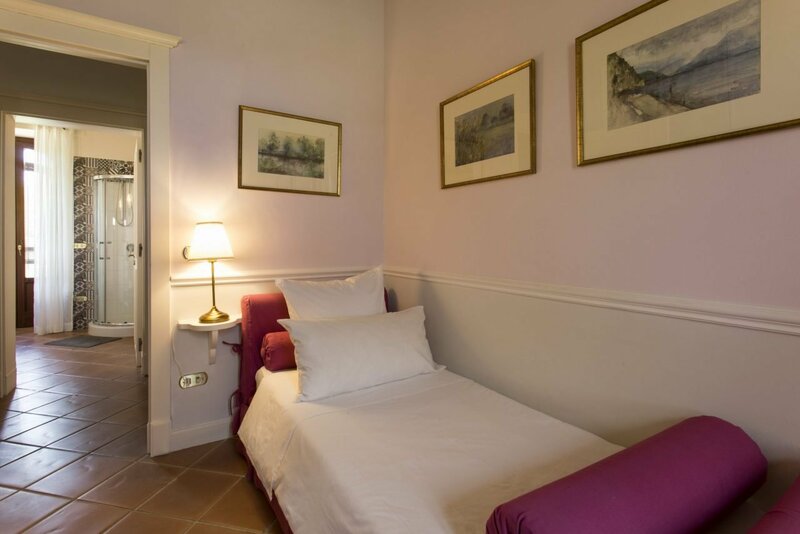 It is possible to add two children’s beds to the doubles. 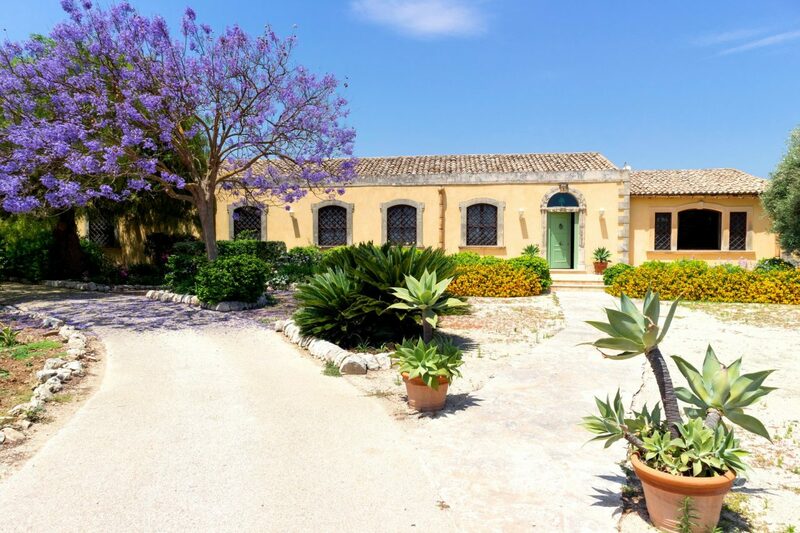 The entrance to the property is characterized by the blue flowering Jacaranda tree that perfectly contrasts the yellow-ochre stone and plasterwork of the house. 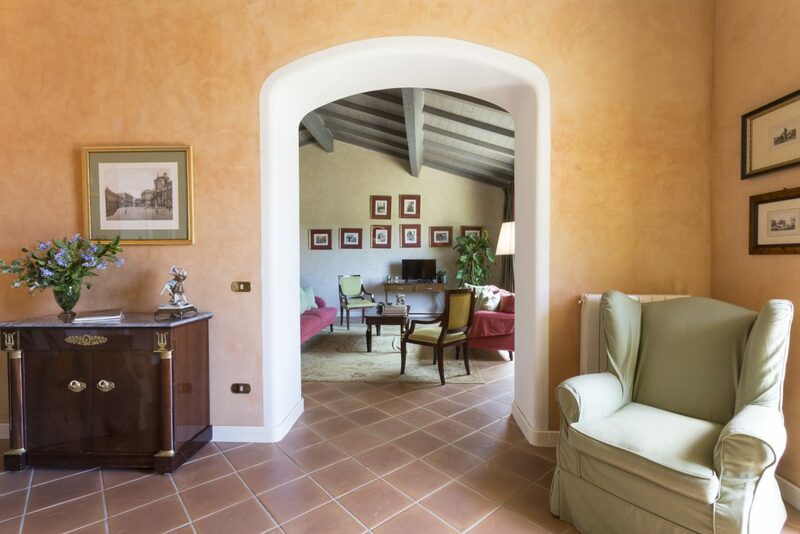 Fine yellow lantana bushes frame the main façade that is characterized by the splendid old doorway. 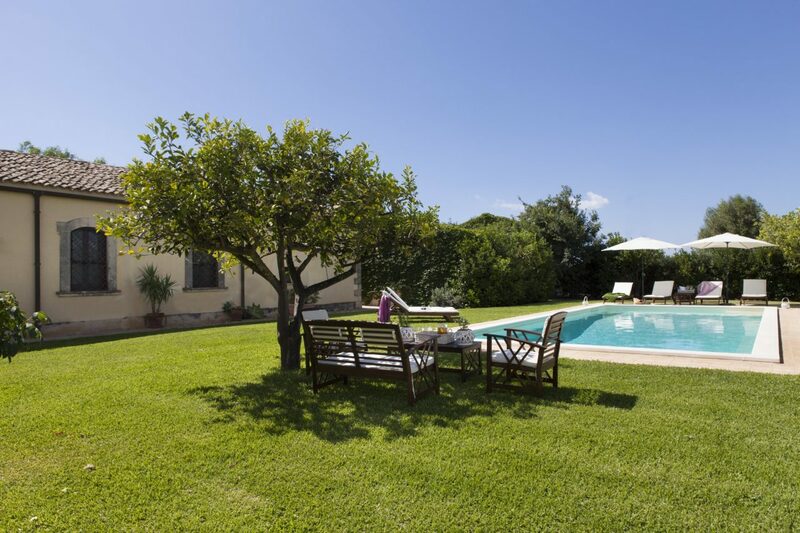 A magnificent lawn opens out to the rear of the house and contains the large pool and covered terrace perfect for dining at any time of the day. 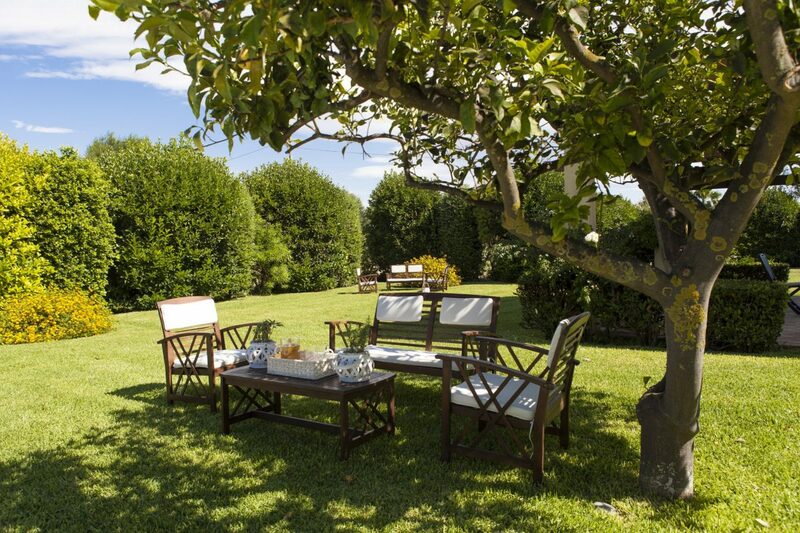 A small citrus grove with lemons, oranges, and tangerines embellishes this area. 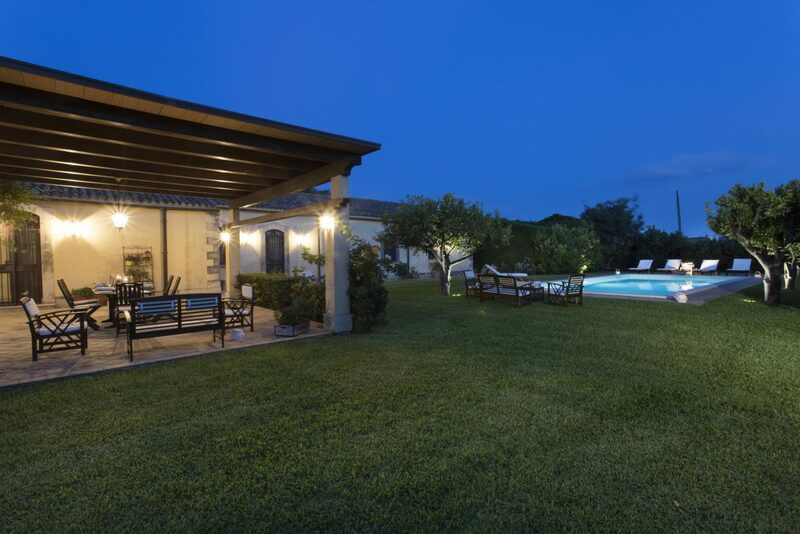 This side of the house offers breath-taking sunsets and the opportunity to relax in the marvellous Mediterranean greenery that characterizes this fine Sicilian house. 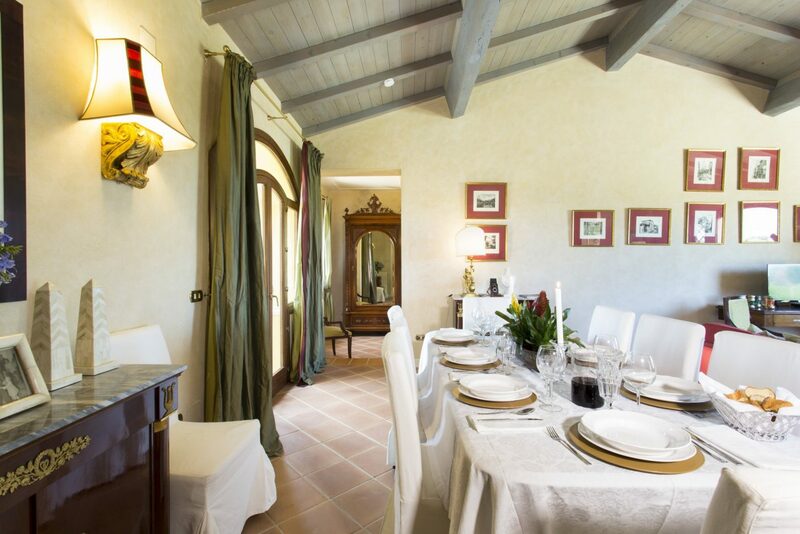 8 pers. 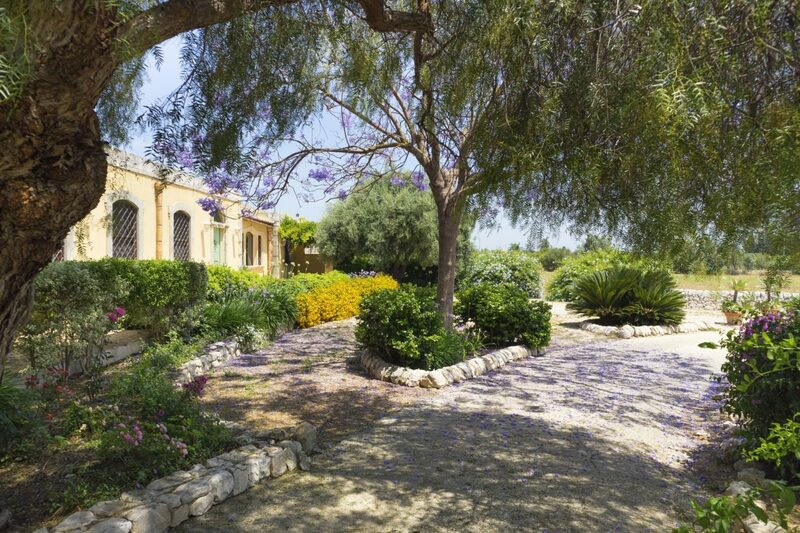 – ca. 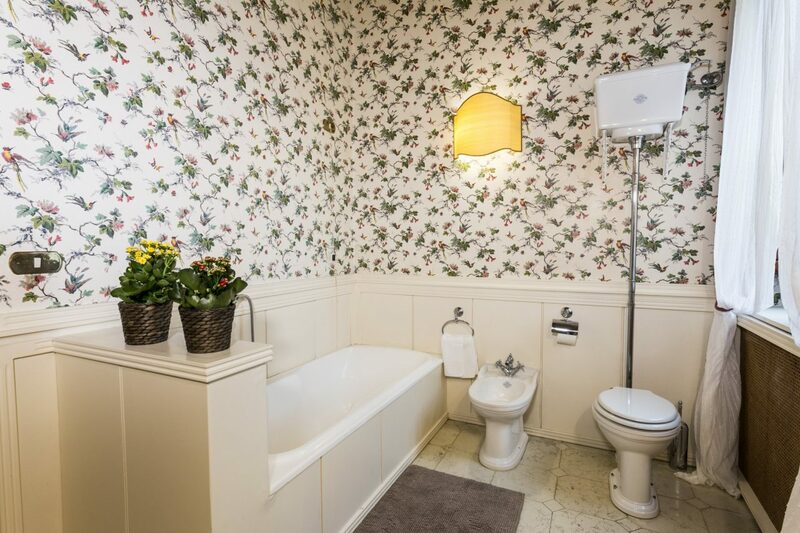 200 sq.m. 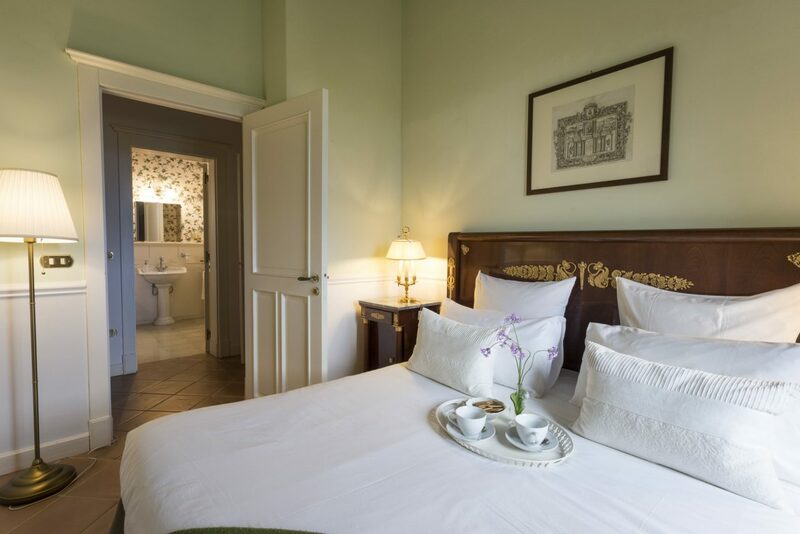 Entrance, large living/dining room; large Kitchen; 1 double bedroom with en-suite shower/wc; 2 double bedrooms, 2 single bedrooms, 1 shower/wc; 1 tub/wc. 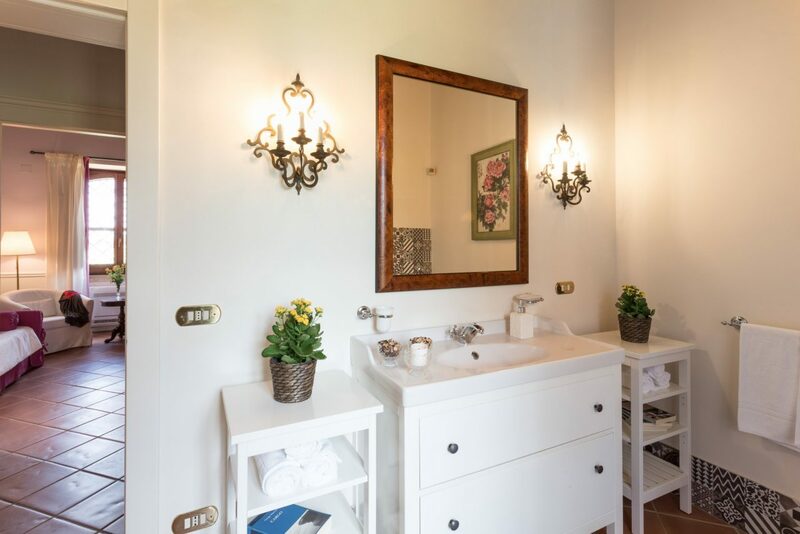 All sales taxes, electricity and gas, cold water and hot water, final cleaning, first set of linen and bath towels, pool towels, maid service 3 hours 2 time per week, bath towels one change per week, weekly change of linen and bath towels, our local support while you are on holiday.